CNIT (Consorzio Nazionale Interuniversitario per le Telecomunicazioni) is the coordinator of CONVERGENCE. CNIT is a non-profit Association, bringing together 37 Italian Universities. The main purpose of the Consortium is to foster research activity and provide networking support to specific projects in telecommunications, which it manages through Research Units staffed by personnel from universities participating in the Consortium. FP7-ICT: MOMENT, PRISM (as technical coordinator), PERIMETER, CONVERGENCE (as coordinator), FLAVIA (as coordinator), DEMONS (as technical coordinator). Alinari will provide commercial and end-user feedback on CONVERGENCE tools, and assist in the design and implementation of the application described elsewhere in this proposal. Alinari will also be involved in the user trials, providing a real scenario, identifying a tangible quantity of user and piloting people and motivating them to provide useful contribution and feedback in terms of usability and sustainability. Lastly, it will provide contributions in dissemination, exploitation, and standardization activities (mainly on mpeg-7 and mpeg-21 issues). CEDEO.net is a consulting company advising major multinational companies on matters related to digital media. The mission of CEDEO is to provide unbiased assistance to industry in the transition from analogue to digital, stand-alone to networked devices, isolated to converging media delivery and open media to governed media. CEDEO provides its services at two levels: strategy and technology. At the strategy level CEDEO provides consulting services on a range of issues such as standards, media compression, Digital Rights Management, (DRM) technology convergence and impact of technology on law and regulation. At the technology level CEDEO provides consulting services and initial solutions to help its customers adopt new business-enabling media-related technologies. CEDEO’s technical team, composed of 7 people, gathers advanced competences on major digital media related technologies, used to design and implement state of the art solutions. The Fondation Maison des Sciences de l’Homme (FMSH) in Paris is one of the leading French public research foundations in social and human sciences. Created in 1961, its central organizational missions are the promotion of social and human science activities, the implementation of adequate research infrastructures in social and human sciences. 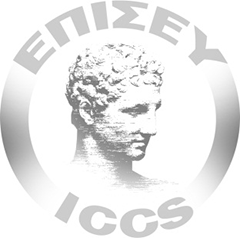 The Institute of Communication and Computer Systems (ICCS) is a private law body associated with the School of Electrical and Computer Engineering (SECE) of the National Technical University of Athens (NTUA), the leading academic university in Greece. It has been established by the Ministry of Education in order to carry out R&D activity in the fields on all diverse aspects of communications and computer systems and their applications in variety of fields. The Intelligent Communications & Broadband Networks (ICBNet) laboratory that participates in the project is an ICCS member lab and very active in R&D. ICBNet expertise spans across a variety of interrelated research fields, including service design, creation and provisioning, context-aware service engineering, multi-tiered applications and Web 2.0 technologies, intelligent systems and semantic technologies, security and privacy, middleware and distributed systems, IMS platforms and session handling protocols. Over the last years, the researcher of the laboratory have participated in many National and EU projects (IST AQUILA, STARLITE, DEMONS, ENAMORADO, SIMPLICITY, DISCREET, SMS, PRISM, CONVERGENCE, etc.) and have successfully cooperated with leading industrial, research and academic institutions throughout Europe, while having presented broad dissemination and standardization activity. The University of Munich (Ludwig-Maximilians-Universität, LMU) is one of the oldest and largest universities in Germany and was recently selected as one of the three leading German research universities. The Media Informatics Group at the University of Munich specializes in user-oriented aspects of technologies for digital media, and in software technologies for multimedia applications. The Media Informatics Group was involved in several major IST projects, e.g. Simplicity, S.M.S, Discreet, and in a number of national research projects. Morpho e-Documents (currently still under the legal name Sagem Orga GmbH) is a Division of Morpho, a high-technology company in the Safran group. Morpho is one of the world’s leading suppliers of identification, detection and e-document solutions. Morpho e-Documents is a pioneer and a global leader in the smart card industry. The portfolio of the Morpho e-Documents Division includes hardware, software, consulting and services, all focused on smart cards for the benefit of consumers and providers in the telecommunications, health, identification and banking areas. For CONVERGENCE, Morpho e-Documents will provide a Personal Secure Token and integrate it into the infrastructure. The token may e.g. be a SIM, a smart card, or a USB-Dongle equipped with a smart card chip. It is used to store and manage sensitive user data like credentials, profile data, and rules for access to her data. The data is not simply stored on the token, but the secure device provides a comprehensive framework of services for personal data management. Moreover, the token will be a VDI enabling device, providing basic services for e.g. creating VDIs, for guaranteeing their security, privacy, and integrity using appropriate cryptographic operations, for modifying VDIs, or for testing their validity. SingularLogic EnrerpriseDIS Division: design and implementation of integrated IT solutions for large enter-prises of the private sector in the areas of General Business, Banking, Retail, Telecoms and Health Care. SingularLogic Integrator Division: design and implementation of Integrated IT Solutions for the public sector organisations. UTI is a Romanian leading-edge technology corporation, providing innovating solutions to civil society, including design, implementation and commissioning of complex systems in areas such as information technology and communications, security and defence. In 2010, the UTI Group had a staff of more than 3000 and a turnover of over 130 million Euros. UTI Systems is the company within the group that covers the IT&C area, providing complex integrated information management solutions related to security, communications and information technology. UTI is also part of several national and international research projects. The R&D departments continuously collaborate with national and European universities, R&D institutes and other entities involved in research, and they are working on the latest research and cutting-edge technology to come up with innovative solutions that address the market challenges. WIPRO Technologies is an Indian company that provides global services, delivering technology-driven business solutions that meet the strategic objectives of our clients. WIPRO Portugal leads the company’s worldwide retail division. The Retail Center of Excellence helps retailers to efficiently match customer needs with the available products. WIPRO Portugal consultants and technicians have a proven track of expertise and success in Customer Analytics, RFID, Global Data Synchronization, Instore, Merchandizing & Princing, Supply Chain Management whit focused solutions across Grocery, Pharma and Specialty Retailing. WIPRO Portugal manages projects from Europe, the Americas and the APAC countries, contributing to retail customer’s success worldwide. WIPRO has a wide range of competences relevant to the project as well as broad experience gained with retailers throughout the world. Company know-how of especial interest to the project includes strong expertise in planning, reverse logistics, merchandise management, after sales services, and web based retail formats. WIPRO strongly believes that CONVERGENCE results will contribute to solve a classical problem of the retail industry – the asynchronism between the physical movement of goods and the associated logical information. – when bits don’t follow the atoms. Nowadays this synchronism depends on manual procedures and although retailers try to implement many audits and control processes, they continue facing an enormous number of errors. Only a disruptive solution as CONVERGENCE can contribute to the reduction of important Retailing KPIs as shrinkage and loose sales as well improve customer satisfaction. 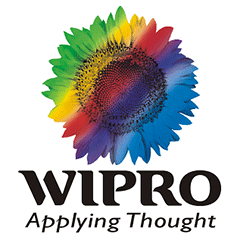 WIPRO plans to exploit CONVERGENCE’s solution in its product offering.